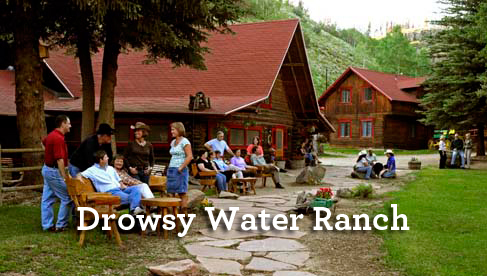 For over 85 years the Drowsy Water Ranch, nestled in its own private mountain valley, has been providing folks and families from around the world with authentic Western vacations. Under the same owner/management for 36 years, they promise nothing less than real down home hospitality amidst unforgettable mountain scenery. 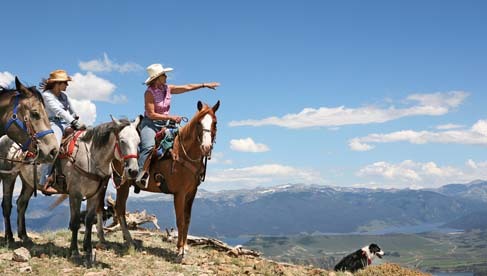 Most of all you'll enjoy a sense of total relaxation and freedom from stress at this Colorado dude ranch. The staff has been hand picked for their friendliness, personality, talent and sincere desire to please. They participate in all activities and create much of our entertainment. 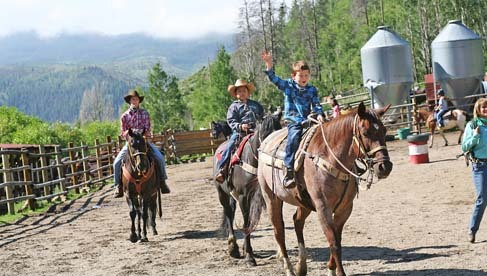 Drowsy Water Ranch vacation packages offer a schedule of enjoyable activities for all ages with an emphasis on service and quality. Drowsy Water Ranch has programs for children from infants to teens with plenty of activities for parents and grandparents. Singles and couples are welcomed also. 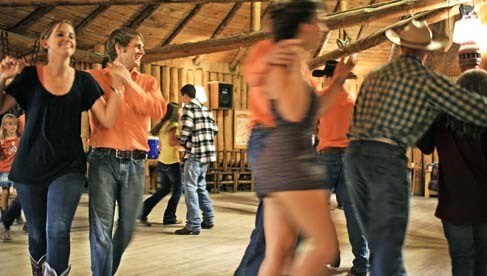 They have a complete program of horseback riding, river rafting trip, swimming, horseshoes, fishing, western dancing, hiking, campfires, hayrides, mountain biking, zip lines, family carnival, and staff entertainment. Having a special relationship with their 130 head of horses, they've bred, raised and trained them to provide each guest with a quality riding experience. The program is geared to every riding ability and age group. Horses are selected to match the rider’s own skills. Daily instruction both in the arena and on the trail improves everyone's proficiency. 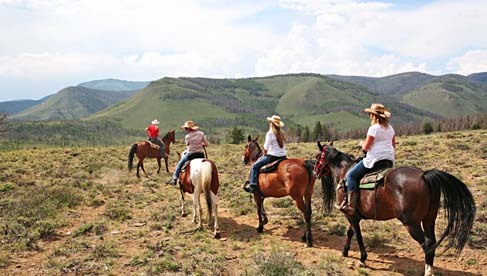 Guests at this Colorado dude ranch may choose from slow, medium, fast or different length all day rides as well as cattle work. 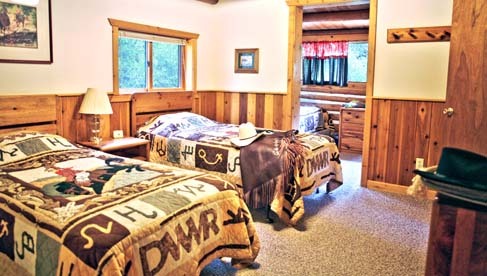 Accommodations at Drowsy Water Ranch are snug, comfortable, western styled and decorated and carefully cleaned every day. Both private cabins and lodge guest rooms have all been remodeled and refurbished. They easily accommodate couples, small families, large families and friends wanting to be near each other. With the smell of clean, fresh mountain air, you'll never get a better nights' rest. Drowsy Water Dude Ranch takes great pride in all their food offerings, sometimes gourmet and sometimes hearty western but always well prepared. 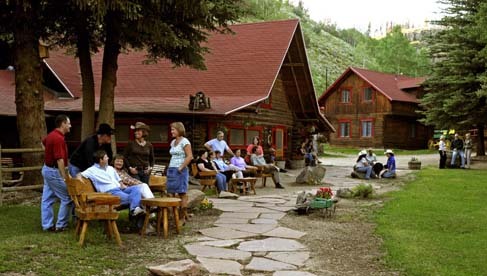 Many meals are served family style in the dining room but others may include breakfast on the mountain top, outdoor barbecues, chuckwagon lunches or sometimes just eating out of your saddlebags overlooking the Rocky Mountains. Their breads, pastries and desserts are made from scratch daily. Drowsy Water ranch can also accommodate special diets including vegetarian, gluten free and allergies for the most part. 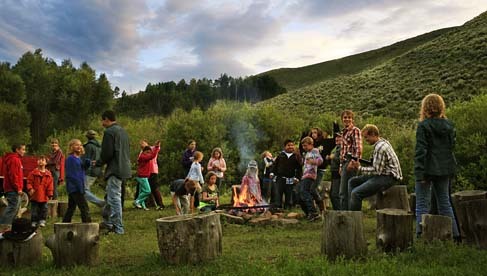 This Colorado dude ranch has a complete program of horseback riding, swimming, horseshoes, guided hikes, song fests, rafting, zip line course, steak fryes, trout fishing, western dancing, campfires, hayrides, carnival, pack trips, staff entertainment, gymkhana rodeos, mountain biking, children's programs, nearby golf, hunting and much more -- but it is your Colorado dude ranch vacation so you may take part in whatever you like. Some area attractions include the Rocky Mountain National Park which is very close to the Ranch. From the Grand Lake to the Winter Park Ski area, there is something to explore all year round! For the last three years, Drowsy Water Guest Ranch has received TripAdvisor Travelers' Choice Awards top All Inclusive Vacations in the world. 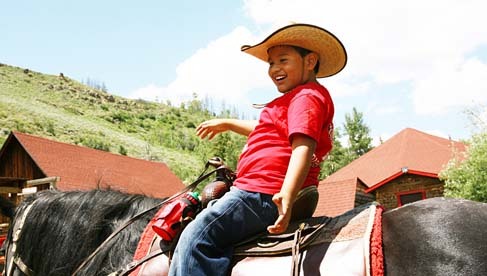 It is also ranked as the #1 Best Dude Ranch for Families by the familyvacationcritic.com in 2011! During the regular season, weekly stays are booked beginning with Sunday check-in and departure following lunch on Saturday. To obtain reservations, telephone or email to confirm space available, tentative reservations can be held for 7 days pending the receipt of the deposit via check or credit card. For parties of 12 or more: full payment 60 days in advance is requested. 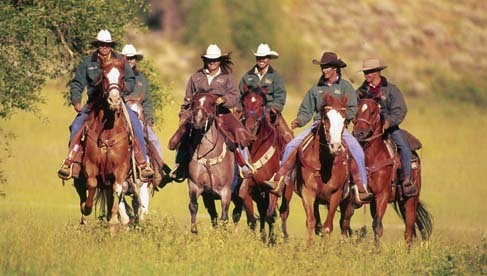 Western Riding with instruction. All abilities welcome. Weeks after August 27th are 15% discount for ADULTS ONLY, groups and special events. Taxes: Rates are subject to state sales tax (4.2% subject to change) and Grand County lodging tax ($12.50 per person weekly). See more information on dates and rates.